This is very good, It is very clean and concise. And now I know what an axonometric grid is. Oh, I am learning all these wonderful terms! 🙂 Just now we will all be very educated ..haha..
Looks good. You also might want to consider this article about patterns vs. tangles. Thanks for the link Genevieve. I have been reading this article a while ago. It only applies to the Zentangle® method. I am going far beyond that – not limiting myself to meditative drawing. There are so many beautiful patterns stepped out, which are not suitable. Some require pencil lines that need to be erased, others are too difficult to fall under the ‘meditative drawing’ category. I love looking at old books like The Grammar of Ornament and Pattern Design. And a lot of those books are available in public domain because they are so very old and out of print. But I cannot get myself to order them on Kindle. I need to have paper in my hands when looking at those kind of books. Absolutely fascinating – I love this kind of thoroughness but haven’t had a chance to explore myself except in (superficially) in relation to historical artefacts & architecture. I’ve got brief ideas for exploration & totally sympathise with your long road. Ina, your distinction between a tangle and a pattern is perfect. I am excited to see the end results. And I am fascinated by the few patterns from other cultures you have already listed. A new door has been opened for me. Thank you. I understand exactly what you are saying and agree wholeheartedly. Well done, and I just have to tell you once again how much I love your Tangle It! 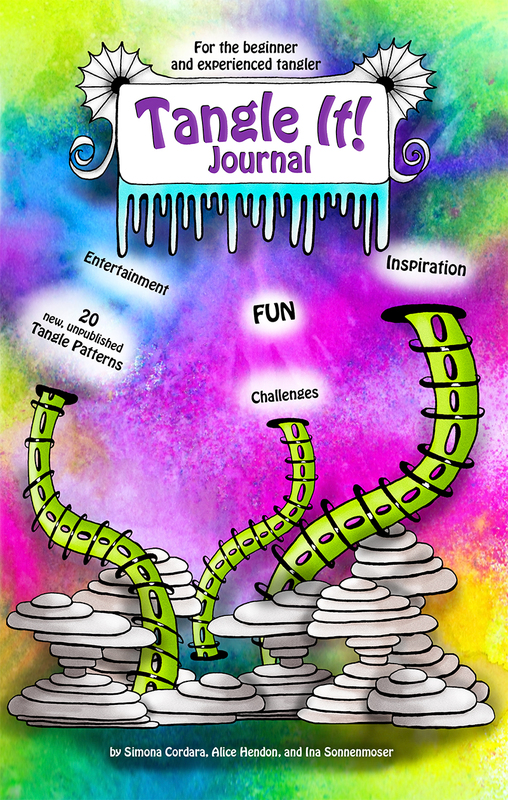 Journal – I’m currently waiting for my Tangle It! Deluxe Practice Book, which is on the way in the mail. Can’t wait to get it. Very helpful. And then there’s the string which isn’t what I thought it was, and now I’m not sure what it is. I love the way it’s been grouped. Great.